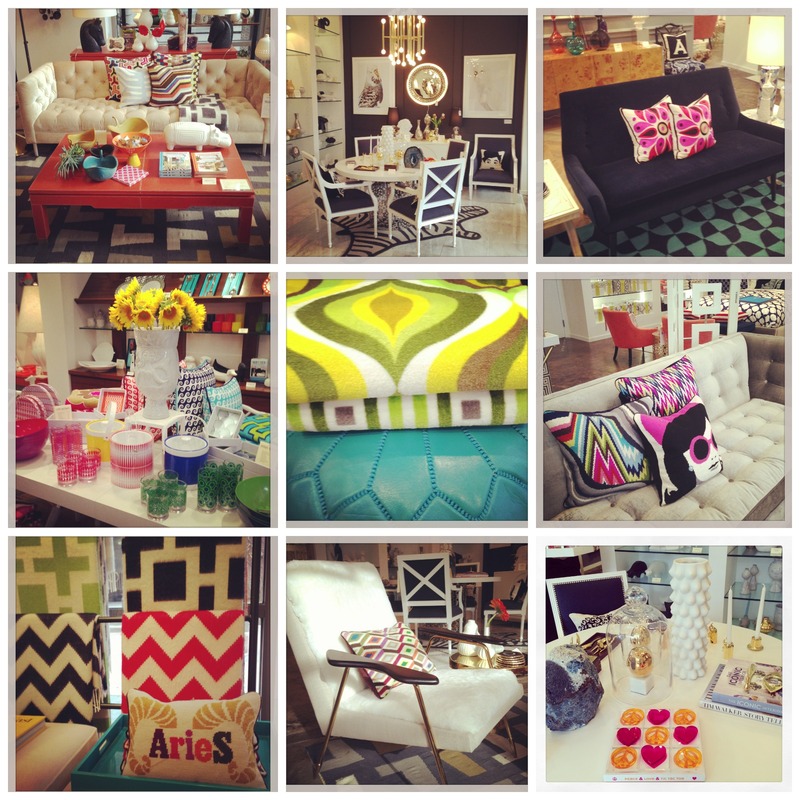 Last night I attended a designer shop event at the Jonathan Adler store in Cherry Creek North. It was great to be able to talk design with the enthusiastic and knowledgeable shop team. I have been a fan of Adler ever since stumbling upon his small shop packed with pottery in SoHo many many MANY years ago. Known for his sense of design humor and bright pops of color, his pieces find their influence in the clean lines of mid century and the richness of Hollywood regency. Some of my favorites were the navy 100% Cotton Velvet Mrs. Godfrey Setee, the Shearling covered Ingmar Chair, the White Lacquered Louis Chairs in Navy, the Burnt Orange Leather Preston Cocktail Table, and the plethora of colorful Kilim rugs. Of course, there is no shortage of fabulous pottery, lamps, and accessories as well. Next time you are in Cherry Creek “pop” in for a bit of eye candy and inspiration!